I bought my Robinsons Rewards Card in Robinsons Supermarket. It’s priced at 150 pesos valid for 2years from the date of purchase. 1. It’s a points earning card. It means for every purchase there is a corresponding points and it will be stored in your card until you use your earned points. 2. It’s for loyal customers. it means that you buy most of the things you need in any Robinsons participating store. Remember, the card expires in 2 years from date of purchase. So, you must be able to earn 150 points or more to get back the 150 pesos you paid upon purchase within two years. Take note that 1 point is equivalent to 1 peso. Since you are a loyal customer it won’t take long for you to earn 150 points or more! A. Items with wholesale or transaction with corporate discounts. B. Purchases made using Robinsons Rewards Points. C. Purchase of Robinsons Gift Certificate. D. Business center payment transaction. 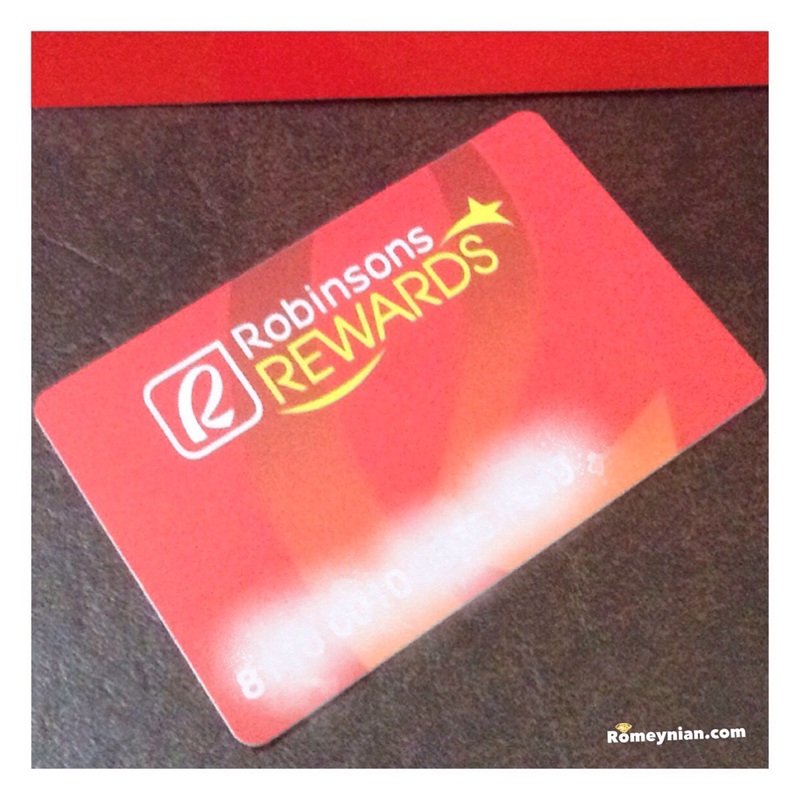 E. Purchase of Robinsons Reward Membership application kit. Checking your points is easy. You can earn & redeem points at these stores. 1 point is equivalent to P1.00. You can use these points to pay for any participating Robinsons store except for purchase of Gift Certificate & other items or services excluded from point redemption. Just inform the cashier of your intent to use your points & present you Robinsons Reward Card & a valid ID. IMPORTANT: Points earned during the membership period should be redeemed or used during those period, otherwise it is forfeited. No points may be carried over to subsequent renewal. So it’s better to keep track of your expiration date or use your points frequently to avoid forfeiture of points. That’s essentially what you need to know. Happy Shopping! Cheers to a God-given sparkling life. ← Cindy, a dog’s tale.